The Training Academy is one of the quickly advancing Travel/hospitality and tourism training institutions in the country.It provides of getting the guidance of travel/hospitality professionals with a combined knowledge of more than 28 years. The 3 months certification course covers the Safety & Emergency Procedures, Food & Beverage Service, Grooming, Personal Hygiene, Personality Development, Basic First Aid, Interview Preparations, Group Discussions, Professional Resume (CV) Building, Professional Pictures for interviews, Practical as well as Theory programs. Teaching methodology includes notes, video as well as audio training. 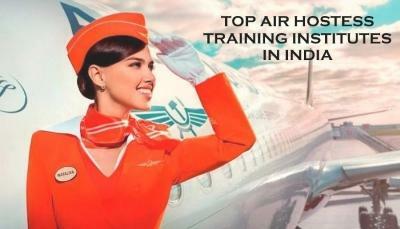 The course also includes complimentary Bespoke Tailor made uniforms, one complimentary two-way domestic flight from Chandigarh for Inflight Safety / Service and Airport Walk-around Experience, Lectures and site visits by Industry leaders and insiders, training (Internship) at a Leading Hotel / Resort and much more. The 6 months Certification Course covers 3 months of extensive English foundation curriculum to improve the overall personality of the students along with their vocabulary and the remaining 3 months course will covers the Safety & Emergency Procedures, Food & Beverage Service, Grooming, Personal Hygiene, Personality Development, Basic First Aid, Interview Preparations, Group Discussions, Professional Resume (CV) Building, Professional Pictures for interviews, Practical as well as Theory programs.